+ Taco Tour 2013: My girlfriends and I had been planning this weekend for a while with the idea of a taco tour being an main part of it. 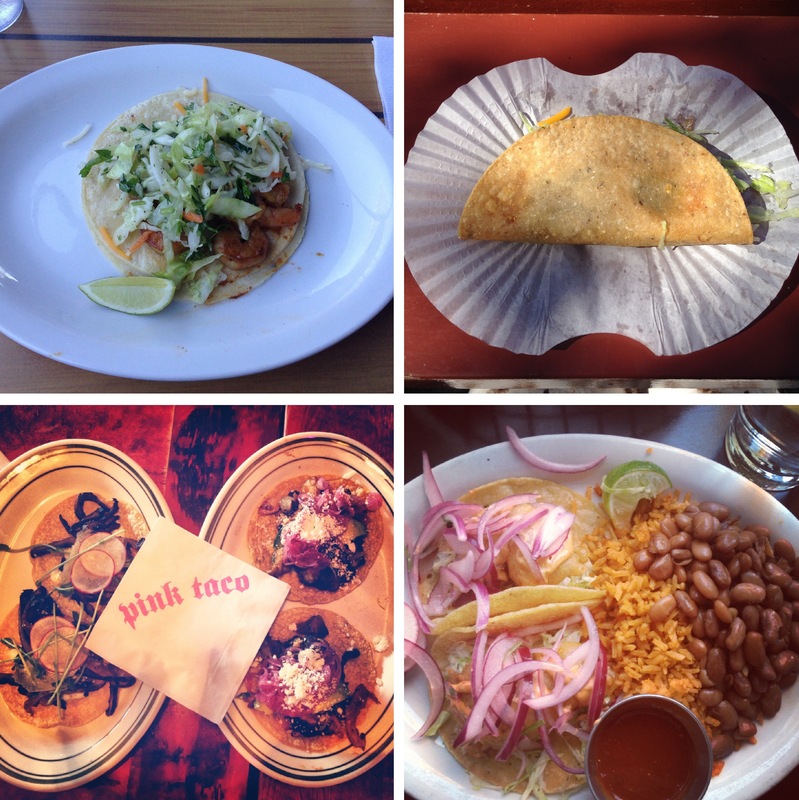 We each chose our own stop along the way: Wahoo’s, Tito’s Tacos, Pink Taco, Ricky’s Fish Taco (not shown), and Malo. We had such a blast making our way around town. Hopefully there’ll be a part 2 in our future. + We capped off our taco adventure with the John Mayer concert at the Bowl. I’m so glad his voice is back again; he sounded great! + Celebratory birthday brunch for Caroline at Malibu Cafe. + Enjoyed an absolutely amazing Avett Brothers concert at the Shrine. They are so fantastic live! I could watch them over and over again. + 6:00AM flights sure offer a gorgeous view despite being totally beat. 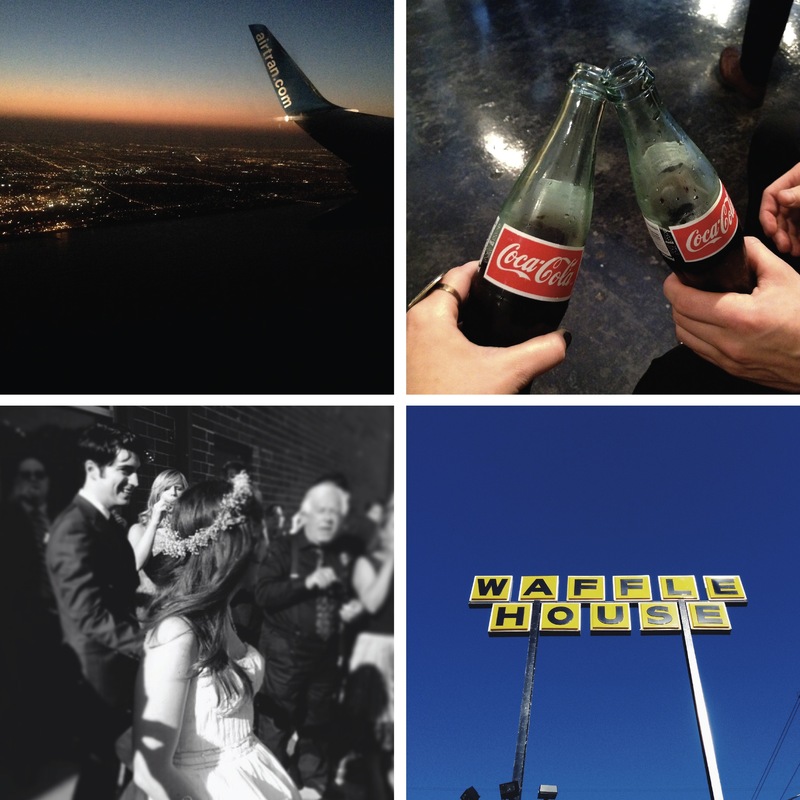 + When in Atlanta, keep it local and grab a Coke. + Sending off the happy couple. + First time visit to Waffle House, which hasn’t made it’s way to CA yet. + Hope to catch up soon with some new stuff. Enjoy your day!